Do you want a story where the villain isn’t a mustache-twirling baddie who does terrible things just “for the evulz”? Instead, would you prefer a semi-sympathetic anti-hero antagonist who does terrible things for the greater good? Do you want your heroes to oppose the villain’s plan because its means are so awful they aren’t justified by the admittedly good ends? Then don’t write a story like Avengers: Infinity War; write a story like Star Trek: Insurrection. 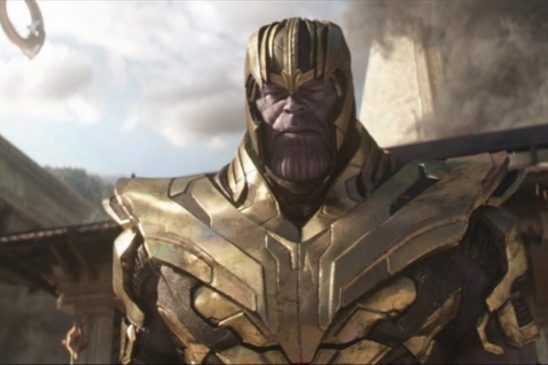 I can see what the creators of Infinity War were going for: they wanted to explore the complex moral question of “Is it right or justified to kill half of all living beings for the sake of the other half?” On the one side is Thanos, who wants to fight the issues of overpopulation that destroyed his homeworld. He is willing to attain items of cosmic power by any means necessary, items that will allow him to destroy half of all beings with a single snap. This way, he reasons, there will be enough resources left to preserve the remaining half. On the other side are the Avengers, who try to stop him because they believe that destroying half of the universe’s creatures is morally wrong, no matter what the positive outcome might be for the remaining half. For this dilemma to be played out, Thanos’s plan has to be effective, if unethical. Accordingly, the movie portrays destroying half of all life as morally wrong but practically sound. No one in the movie seriously challenges Thanos’s claim that life would be better or more sustainable for the remaining people with half of them dead – they only challenge him on moral grounds. But the fact is that Thanos’s plan wouldn’t work. If culling half a population helped at all, it would only be a temporary solution. It would need to be repeated ad nauseam as the population regrew. Yet Thanos seems convinced it’s a one-time panacea. On Earth, and therefore on any planet like Earth, a lack of resources isn’t the problem – we have enough food to feed the world. What we lack is distribution and political will. Neither of those deficits would be solved by the Snap. The techniques that are actually proven to help with overpopulation issues are things like education, contraceptives, technological innovation, and women’s empowerment. All beings are not equally responsible for the problems of overpopulation, not equally positioned to help combat it, nor equal consumers of resources. Indiscriminately taking out half of everyone ignores the societal and political roles that affect resource cultivation, distribution, and consumption. To achieve the Snap, Thanos assembles the Infinity Gauntlet, which basically gives the wielder unlimited power over reality. So it’s not as if the Snap is Thanos’s only option to solve this problem – there are dozens, if not hundreds, of more effective ways a being with that much unstructured power could address issues of overpopulation. For instance, he could create more resources, transfer resources from those with a surplus to those with a deficit, or take control of all governments to force reforms. Therefore, it makes no sense that he is hyper focused on this one unethical method. Now, you could have a morally ambiguous villain who truly thinks his plan will succeed, only to have it fail tragically. But that only works if the villain had no way of knowing his plan would fail. Even if Thanos somehow had no access to the above information, he still could not plead ignorance as a defense. His plan is not a hypothetical scenario he wants to try now for the first time; he’s been killing half of populations for decades. He did it to Gamora’s world and Thor’s ship, to name two. In fact, he claims Gamora’s world is now a paradise, and neither she nor the Avengers dispute him or go to see for themselves. Nor are we as viewers shown this outcome – we and the Avengers have only Thanos’s word to trust. The heroes do trust him. A large cast of competent, intelligent, and powerful characters all fail to investigate or analyze appropriately. To avoid such a thing, Gamora could have pointed it out succinctly, saying, “I revisited my planet after he did this to us, and it didn’t fix anything.” Or, instead of saying, “We don’t trade lives,” Steve’s main objection to Thanos’s scheme could have been, “Germany thought mass murder of some of their citizens would help the rest, but it didn’t.” As a WWII hero, he actually witnessed some of the real-world atrocities this movie tries so hard to avoid. But neither of these things happen. Instead, the filmmakers pretend Thanos’s previous purge solved the problem, and even the heroes agree it is an effective, if unethical, solution. This creates a bigger problem, as it can serve as a justification for this kind of atrocity in the real world, which is a gross moral oversight. Why did the creators allow such a thing? If they admit his previous attempts didn’t work, they lose their sympathetic antagonist. Why Did the Filmmakers Use the Snap? Despite these issues, the filmmakers stick to the Snap as Thanos’s grand plan. Why? I can’t be sure, but some likely theories present themselves. They attempt to keep Thanos’s plan morally ambiguous by distancing themselves from problematic associations such as the discriminatory nature of genocide. This explains his emphasis on killing half of everyone randomly instead of focusing on any one race, species, culture, class, etc. However, the remaining plan is not free from problematic implications. Its neo-Malthusian basis draws terribly near to eugenics, forced sterilization, and mass murder, all of which are bad enough on their own and have historical associations with real-world atrocities, including genocide. To avoid ties to genocide, it’s not enough to just make the killing “indiscriminate.” Any usage of these extreme methods comes with historical baggage. That baggage could have been examined as part of the story, but the movie tries to pretend that just because he is not picking and choosing victims, his methods are free from historical precedent. They are not. Another reason the Snap seems appealing is that it is a quick solution – literally one snap and it’s done. That provides a dramatic climax for the narrative. However, as shown before, it would not fix the problem and would undoubtedly create more problems in the aftermath. The film even acknowledges this by showing widespread chaos after the Snap, although somehow no one in the movie predicted this obvious consequence or used it as an argument against the efficacy of the Snap. Also, the Snap appeals as a villainous plan because it is morally wrong – and can therefore be used for angst. The filmmakers want to show Thanos wracked with guilt over the terrible thing he has to do to the many for the sake of the other many. He even murders his daughter* in cold blood to achieve this vision. He is therefore willing to achieve his vision by any means necessary. But if he is truly willing to do anything to fix overpopulation issues, and if he feels bad about doing these things, then shouldn’t he be eager to do less awful things that would be more effective in achieving his end goal? Instead, the camera lingers on his tears as he performs worse and worse deeds in pursuit of his lofty goal. We, the audience, are supposed to sympathize with him because he has feeeelings, because he sorrowfully does what must be done. But the thing is, he doesn’t have to do it. If he had thought the problem through, consulted with experts, or done more research, he would have realized that these methods he claims to hate are unnecessary for the goal he wants to achieve. This self-indulgent villainous angst is no substitute for actual moral complexity. Remorse without reparations does not require absolution; abuse survivors do not need to sympathize with abusers who display contrition, and we do not need to put up with Thanos’s rubbish emotional manipulation. The Snap is also included because it is narratively dramatic and simple, much simpler than the actual problems and solutions involved in overpopulation. But I believe the filmmakers are underestimating themselves and their audiences if they believe they couldn’t address such a multifaceted topic in a nuanced way and still make an exciting film. If they would rather stay away from that intricacy, then they should pick a less complicated issue to put at the center of their film. The final reason the film has Thanos kill half of everyone is quite simple: it’s in the comics. However, in the comics Thanos is in love with a personification of death and wants to send her that many souls as a courting tribute. That, while messed up, makes more sense. A universal mass murder is more likely to charm death than solve overpopulation problems permanently. In the comics, his goal, while unethical, has a chance at achieving his desired ends. In the movie, it does not. By keeping a plot point but changing the motivation, the film tries to make Thanos seem more morally sympathetic. But because his plan is so irrational and impractical, the effort fails miserably. Even if the next Avengers movie shows that the Snap was not as effective as Thanos thought it would be, that won’t fix the problems in this movie – namely that everyone should have known it wouldn’t work before it happened, that the movie never acknowledged that it couldn’t work, and that, worst of all, the movie actively pretended that it would. Don’t pick a plan that won’t achieve the good end it’s supposed to (and then pretend it would). Don’t substitute empty angst for actual moral struggles. Don’t try to divorce methods from their real-world historical contexts to try to make them less problematic. Don’t have intelligent characters accept the villain’s methods as the only way to achieve the proposed end without investigating its efficacy or proposing alternate methods. Now, if that’s what you don’t do, then what do you do? I’m glad you asked. This Next Generation Star Trek movie expertly accomplished what Infinity War failed to achieve. It addresses the complex moral question, “Is it ever justified to forcibly relocate a small group of people to satisfy the demands of a much larger group?” On the one side is Admiral Dougherty, who has discovered a planet that creates eternal youth and health. He wants to bring those benefits to the rest of the Federation by relocating the local people, called the Ba’ku, to a similar but ordinary planet. That way he can harvest the metaphasic radiation that causes that effect, assisted by the Son’a, alien allies who have the technology to accomplish this. On the other side are Captain Picard and his crew, who try to stop Dougherty and the Son’a because they believe that forcibly relocating a culture is ethically wrong and that bringing perpetual youth and miracle healing is not worth that moral cost. This dilemma actually works because, within this scifi world, Dougherty’s method would almost certainly be effective. We see the effects of the metaphasic radiation firsthand, not only on the locals living on the planet but also on Picard’s crew. Worf experiences symptoms of Klingon puberty, proving that the de-aging powers work. Lieutenant Geordi La Forge gains biological eyesight for the first time in his life, proving the potential health benefits beyond eternal youth. We are told that the Son’a technology can harvest the metaphasic radiation, though that process will kill anything currently on the surface and make the planet uninhabitable for a generation. Uncomfortable with the forced relocation, Picard discusses alternatives with Dougherty. Being an intelligent Starfleet officer with some remaining shred of moral fiber, the admiral already thought of, tested, and discounted each. Dougherty assures Picard that this is the only planet where they can harvest the metaphasic radiation, that they can’t duplicate the Son’a technology, and the dying Son’a people wouldn’t survive the ten years of normal exposure it would take for the metaphasic radiation to heal them. Given this context, the plan to simply and secretly move the locals elsewhere is logical. It could even be considered a compromise, as it would preserve the lives and ignorance of the natives while also allowing the Federation to harvest the life-giving metaphasic radiation and share it with everyone in their reachable universe. Here we have what Thanos’s plan tried and failed to be: a morally dubious but definitely effective method of achieving an undoubtedly positive end. The only remaining counterargument is a moral one. And it concerns a moral that is vital to the Federation, of which both Dougherty and Picard are a part: their Prime Directive, a strict policy of noninterference in developing cultures. Picard argues that by enacting this plan, “We are betraying the principles upon which the Federation was founded. It’s an attack upon its very soul.” Dougherty’s concern for the Federation is not for its moral core. He wants to rebuild its standing after recent losses to enemies like the Borg and the Dominion, and he’s willing to break the Prime Directive to do it. Picard accepts that Dougherty has good goals that are achievable through his plan, but still opposes the methods he suggests solely on principle, both modern and historical. He believes that they have no right to step in and “determine the course of evolution for these people,” especially not by the methods Dougherty suggests. He would not relocate 600 people to help billions, even if it would work, because he views the act itself as wrong. 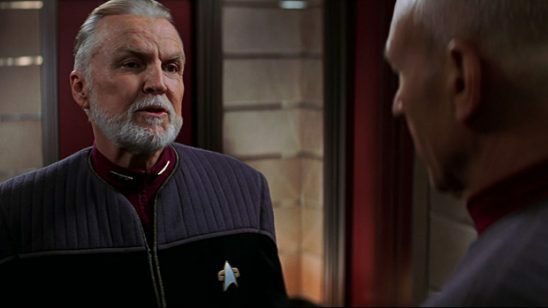 Admiral Dougherty doesn’t deny that history, but only seeks to justify by scale: “We’re only moving 600 people,” to which Picard replies, “How many people does it take, Admiral, before it becomes wrong? A thousand? Fifty thousand? A million? How many people does it take, Admiral?” That is the line in the sand, the moral center point of the film, the hill that Picard and his bridge crew are determined to fall upon. This is what Steve Rogers’s “we don’t trade lives” line in Infinity War was supposed to be, except in Insurrection this principle is actually the only reason to oppose the antagonist’s plan, whereas Steve could have presented loads of other practical reasons to oppose the Snap. After this complex but solid moral divide is drawn, the battle between the two sides begins in earnest. Picard disobeys a direct order from his superior officer in order to protect not just an idea, but also a large group of living people, and his bridge crew joins him. Later, Dougherty is murdered by the Son’a leader, Ru’afo, who then becomes the main antagonist. Ru’afo’s goal is still more logical than Thanos’s – he and his people are dying, and he needs the metaphasic radiation to heal everyone. Initially, he went along with the plan to relocate the Ba’ku, thus preserving their lives while obtaining the means to heal his people. When the relocation plan fails, he is willing to proceed with collecting the metaphasic radiation even though it will kill the Ba’ku. This is morally worse than relocating them, but his plan will let him achieve his goal. The practicality is still sound, and the moral stakes have been raised. If this summary makes it sound like the movie is all talk and no action, that isn’t so. It has plenty of excitement and adventure in its hand-to-hand fights and ship-to-ship battles. Pick a clear, praiseworthy goal the villain is striving toward. Have them focus on the benefits they’re trying to achieve as well as regret the distasteful methods they plan to use. Pick a plan that would actually achieve the good end it’s supposed to. Have intelligent characters properly investigate the efficacy of the villain’s plan and discover that alternate, morally superior means could not achieve that good end. Acknowledge the real-world historical context of atrocities, and use that history as a reason not to repeat those methods. Raise the stakes without losing the efficacy of the evil plot. Science fiction movies have a two-fold responsibility: to be entertaining to audiences, and to leave the world no worse than they found it. These two responsibilities are linked; movies that reinforce oppressive norms are not enjoyable for audience members affected by that type of oppression. It is not only possible but easier for a movie to be both ethical and entertaining. Avengers: Infinity War proves that sloppy morality is not only unethical but also compromises enjoyment of the story. Star Trek: Insurrection proves that you don’t need to sacrifice entertainment value while presenting a complex moral dilemma. It raises the stakes and provokes thought and discussion among the audience about the actual issue presented in the movie, not about its plot holes. In fact, a well-constructed moral dilemma heightens viewer enjoyment of the film. Whom he abducted, adopted, and abused during an early attempt at his “kill half to save half” scheme. I agree on the Thanos part, but I have trouble with the Star Trek: Insurrection. I don’t think that movie is that great because the Ba’ku an insufferable. They are also never ask directly if they would consider clinics or such on the planet. And there is the fact that 600 People a really not much of a population on any planet so the clinics and stuff could be built far away from the Ba’ku. And a important fact is: the Ba’ku are not a pre-warp species, the do understand technology and modern stuff perfectly, they just choose not to use it. The So’na are still major jerks and worse (and Star Fleet isn’t better), but the Ba’ku are not very nice too, as they were the one forcing the So’na away (however they managed that as pacifist I don’t know). If they were that enlightened shouldn’t they welcome the wounded and sick form the federation (maybe not from the So’na) but because we can’t have the Ba’ku look bad they are never ask directly. Also the Ba’ku act so smug and full of themselves – nearly everything about them is made out to be perfect. Yeah, so much for my rant – but on article itself. Always nice to see that a movie I would call “bad” can make good points, give better view on things. Your right, Insurrection is dumb. If the Son’a can’t survive long enough for the radiation to work naturally, but there is a process with the side effect of making the planet uninhabitable for a generation, just offer the Ba’ku an all expenses paid holiday, anywhere in federation space, for the duration of the planets recovery. And most people agree that the prime directive is flawed to say the least. I agree with you here. I can see the shape of what Insurrection was attempting, but it was really… um… badly done. Instead of making us empathize with the Ba’ku, everyone came off as preachy assholes. The Ba’ku being ‘closer to nature’ was definitely some 90s cheese. Respecting a people is important, and while the message was fine, it was loaded into one of the most annoying Space Elf tropes I’ve ever seen. The Snap was used because it was in the comic and is considered, by many, to be one of iconic comic panels in history. Thanos didn’t even need to snap, he just did it for effect. Yes, but the problem is not the snap as a such, but what it is for – why he’s snapping (which is different in the comic). Sacrificing half of the universe’s populace to your lover is evil, but it works. Sacrificing half of the universe’s populace for over-population when your past experiements should have shown it doesn work is just a very bad plan – especially when you switch to it to make your villain more sympathetic. I’m not sure it was all that bad. The suggestion of doubling the resources is even worse. People are bad at long-term planning. Look at lotto winners and how many of them go bankrupt in a few short years. Doubling the resources of the universe will create not a baby-boom but a baby-supernova causing a faster drain on resources. Now dusting half the people (we only saw people vanish, not non-sentient animals or plants) has a better chance to convince them to be more careful next time IF Thanos said why he did what he did. Yes, there are no simple answers, but he’s called the Mad Titan for a reason. I don’t think we were supposed to sympathize with him, just get why he did what he did. Oh, he had to give up what he loved most, well considering what he did to Gamora, he must not love very much. I guess even a small number can be the biggest if everything else is zero. A. If Thanos has the Infinity Gauntlet, it gives him basically unlimited power. This means that if the resources run out, he can always simply create more resources. Of course, this arguably means the Infinity Gauntlet is too overpowered to be in a story at all, but that is a different issue. B. In real life, there are many ethical methods of population control that have been proven to work. Also, it seems that industrialized countries tend to develop low birth rates (called demographic transition). It’s hard to make predictions, but I would suspect that in a high-tech future, this pattern would still hold because the high-tech gives less reason to have lots of children. So (hopefully) overpopulation would simply not exist in the future. Now, Thanos should (for reasons given in the article) know about these conclusions. This makes it not a true moral dilemma, because not only are Thanos’ actions unethical, they don’t even achieve the intended ends. As pointed out, for there to be a real dilemma, the unethical solution has to be able to achieve its intended ends. Still overlooking one important pint: in the 1970s, the doubling period of Earth’s population was 30 years. It has since increased from then but it’s a problem completely ignored by the movie: Earthlings could double their population every generation. A. That was the same problem with the Snap. It would have to be redone occasionally. It’s easier to destroy than create so dusting half the population. Plus it will drive home the lesson of using resources better (which seems to be the heart of Thanos’s reasoning). B. Absolutely there are better ways. But the Snap is quick, direct, easier, and more in line with Thanos’s personality. There are other, very simple, methods Thanos could have used that could lead to the same story. 1. create dead mining worlds (accessed by absurdly cheap transporter-gate-portal-thingies) where mineral wealth is so easily accessible that it is inconceivable to uproot a single tussock plant on a living world in order to dig up rocks. – or simply fill the cosmos with metal rich asteroids. – have them respawn as they are harvested. 2. create a combination of minerals that convert thermal heat to electrical power, and an element that when wrapped in copper electrified copper gives reactionless thrust. 3. create elements allowing the construction of colossal automated paradises (like banks orbitals but the AI’s aren’t jerks) that produce enough food and power to support every living person in the galaxy. These changes would have long lasting benefits for everybody, but in the short term would cause chaos. Economic systems would collapse and it would literally break worlds. The “villain” would be right and in the right. But there would also be just cause to stand against him. Doubling resources isn’t “even worse”; the problem of people not planning well and expanding to match and exceed available resources is precisely the same if you get rid of half the population. There is no reason to assume dusting half the people would convince the rest to be wiser about their resource usage, and if it did how many generations are we supposed to think this effect would persist ? Certainly not infinity. In fact we could argue that halving the population would lead to resource re-saturation faster than doubling resources would, because exploiting resources requires infrastructure, and if you double the resources it would take some time to build the extra infrastructure – whereas if you kill half the population, the infrastructure to exploit the total amount of resources is already in place, speeding up the process. I’ve seen it argued that the Black Death actually had this effect, that the standard of living rose in Europe in the decades following it because there were now more resources per capita. Yet here we are, and here we were already in Malthus’s day. 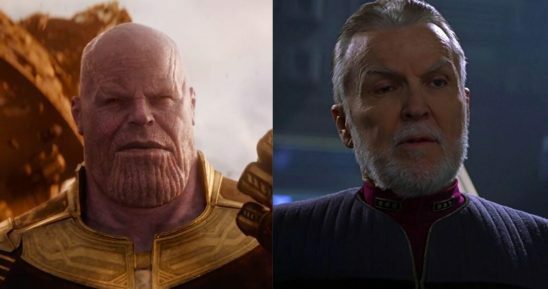 I haven’t seen Infinity War, but your analysis of Thanos has reminded me a lot of some chapters of Star Trek: the Original Series. From what you say, the screenwriters intend Thanos to face a dilemma similar to that of Kodos, the Governor of Tarsus IV. Buuuut in the case of Kodos, this measure perhaps makes some sense, since resources are really limited -it’s not a question of distribution-, and it’s not intended to be a permanent solution to the critical situation but a temporary one (until the supply vessels arrive). On the other hand, it is said that Kodos imposes his own eugenic policies on the decision of who will live and who will, I guess to make him less sympathetic in the eyes of the public; and with Thanos they’re trying to do just the opposite, when not “discriminating” is precisely one of the most immoral points of the approach. The problems of our world do not come from overpopulation, they come from capitalism. A Bangladeshi worker has no equal responsibility for the destruction of our planet or for the suffering of all people who live without their basic needs covered, as a Wall Street capitalist. C’mon. To say otherwise is pure neoliberal ideology. I have also remembered that TOS episode, The Mark of Gideon, in which a planet suposedly afflicted with overpopulation seeks to end it by introducing diseases for which its people are not immunized. It’s so absurd and the writers somehow acknowledge it by making Kirk give the leader of the planet a talk about contraception xD. I sort of felt the same thing with Captain America: Civil War, in which the conflict of Cap vs Iron Man lacked the true framing that it should have had, essentially devolving into a personality conflict. One argument is probably the most straightforward, that it is a metaphor for unilateralism vs internationalism, in which Cap is essentially arguing that nations should operate on their own as they see fit and Iron Man is arguing that they should only take action when agreement can be reached. A second argument is about the nature of law enforcement, in which Cap’s position is that no police is better than corrupt police, while Stark’s position is that it is better to be within the law than outside it. The problem with either of those ideas is that they make it very hard to agree with Cap, as Stark is less wrong with respect to the real world. Though there is a downside to actually giving the antagonists a valid point, that they can actually feel more correct than the heroes. In the case of Insurrection, you can view the Ba’ku as a metaphor for wealth inequality in which they are unwilling to sacrifice virtual immortality at the expense of a much greater standard of living for billions. I think a better approach is what was done in The Legend of Korra(especially season 4 with Kuvira) and Black Panther, in which the villain is largely correct about their grievances, but becomes wrong by using tactics that take things too far and by being too extreme in general. In a sense this also occurs in Insurrection, because the Son’a escalate to killing, but the problem is that the heroes already wanted to stop them. Since you brought up CA:CW, the moral dilemma is based on the Sokovia Accords being anything but an attempt by the elites to keep the Avengers from going after the elites. Since it’s nothing but another set of chains, Cap was right to oppose it but not for the reasons he gives. The Avengers were already betrayed once in CA:TWS. Why wouldn’t they be betrayed again? The real conflict is whether to trust those in power ever again. Something the movie totally misses. You’re absolutely right about the framing issue in Captain America Civil War. The issue doesn’t really translate to real life, and I think any metaphors are much too bungled with the poor presentation. It seems like they try to portray Captain America as principles and freedom before practicality, and Iron Man as law and practicality first. The problem is that within the story, up until they talk about the sokovia accords, Captain America is right. The incompetent and antagonistic governments are doing much more damage and a poorer job than the avengers, and iron man comes across as hypocritical because all of his previous actions show he won’t be controlled. But then the rest of the movie goes out of its way to show iron man is now right, as it makes all the superheroes destroy things for no reason and Captain America assist his old friend to inane levels. Yeah, the Marvel movies are getting to be as incomprehensible as Star Wars. ? I think the fact that the protagonists DON’T check on Thano’s assertions is an important one. Why take his word on anything? Also I noticed with the “half of everyone” strategy that it is strongly dependent on Thano’s perceptions of relationships in the film. LOKI is killed, so THOR is not, because they are brothers and therefore Loki was one half of that relationship. The other heroes that fade away and don’t, are more arbitrary and dependent upon the plot of the next film no doubt. Surely NICK FURY might go but surely MARIA HILL would then stay? First, they didn’t have time to check. Second, IIRC the only person he told about Gamora’s homeworld being a paradise thanks to his actions was Gamora herself. No one else knew. All the Avengers really knew is that Thanos wanted the stones to kill half the people in the universe. They didn’t care why. Thirdly, when did they say they believed Thanos’s claims? I remember Iron Man being very skeptical when Thanos was going on about how his way was the only fair way since it was totally random (except for himself). You’re absolutely right. If the audience believes that Thanos’s motivation is self-evidently full of crap, if they recognize his deeds and goal as being utterly devoid of moral fiber, then the heroes going to the effort to prove him wrong would be like Captain America going out of his way to show that Hitler was wrong about the Jews. …But if the audience proves more receptive to Thanos’s ideology than anticipated, we have a problem. And people apparently have trouble distinguishing between a villain who’s sympathetic and one who just doesn’t carry a villain card. Oopsies. No one in the movie seriously challenges Thanos’s claim that life would be better or more sustainable for the remaining people with half of them dead – they only challenge him on moral grounds. I don’t think anyone particularly challenges him on moral grounds either – they just fight him. If anything they treat him as someone who can’t be reasoned with, which is pretty much the truth. “We don’t trade lives” didn’t refer to Thanos’s plan, but the idea of killing Vision to stop him. There’s obviously a (or meant to be a) thematic resonance there, but Steve doesn’t argue against Thanos’s plan at all – he just treats it as so self-evidently monstrous that whether it would work is a question that doesn’t even deserve to be addressed. Note that this isn’t to argue that Thanos is a sympathetic antagonist, or a complex one – he’s neither – he’s an iredeemable zealot who reframes any fact to fit in with his delusions. But I do believe he’s a coherent one. And a pretty topical one, sadly. Granted the Russos like to talk as if they were trying to create a complex and ambiguous character. And if they were then yes they failed. But my position is more that some stories call for more layered villains while others call for more straight-line ones, and I think Infinity War called for the latter. However, in the comics Thanos is in love with a personification of death and wants to send her that many souls as a courting tribute. That, while messed up, makes more sense. Could you imagine that ever impressing Death of the Endless? However, I’m more in agreement with you on this point. I think Thanos’s motive should have been more spiritual: since we have magic in the setting, draw on it and the believe that the current population growth in the universe is doing something to the *cycle* of life and death. Death of the Endless is in DC (or whatever Sandman is technically in), which may be why you think Death wouldn’t be impressed. And you’re right, Marvel’s death isn’t impressed by anything Thanos does (mostly cause she is in love with Deadpool), you just have the wrong personification of Death. I know Death of the Endless is DC, but she’s the one I could expect to see tearing him a new one over this, at length. I can’t help but wonder if the mistake Marvel made was underestimating how many people would take Thanos’s claims at face value. I never got the impression that Thanos was supposed to be sympathetic. He probably thought he had sympathetic motives, like someone who blames their rough childhood for their crimes. But from the perspective of everyone else he is completely self obsessed, focused only on his mission and seeing everyone else as just extras in his movie. There are moments when he seems to enjoy his villainry, and his lieutenants are obviously evil. His relationship with Gamora is totally selfish, he only cares about her because she is the one he chose, plenty of other little girls died that day because of him. Thanos is in that liminal state where he isn’t sympathetic, but he’s also not a card-carrying villain. He has a motive which makes sense, at least by his own internal logic, but it’s not one the audience is expected to agree with. This category of villain doesn’t seem to have much discussion surrounding it, so people keep trying to shove Thanos into one box or the other and get frustrated when he doesn’t fit. The thing that rubbed me the most wrong way about Thanos being hailed as a complex sympathetic villain is that I have a feeling it’s because the movie’s reasoning resonated with a lot of people. How many people actually think that a lot of the world’s problems would be automatically solved if population was reduced, and we could totally do it but we don’t because it would be wrong? It seems to me that it’s a fairly common pop-environmentalist stance, though I didn’t think about this much before the Infinity War. In this way, Thanos’s arc can be an exploration of how it would be to actually act on this edgy “truth” that no one can refute (and so the heroes don’t) and sacrifice one’s morality to do “what needs to be done” but “normal people” are unwilling to do. In turn, the heroes are a reaffirmation that we are good guys and would never do it because we’re good. In other words, the audience is meant to agree with both Thanos and the heroes in part because it’s expected that many already do. Historical context just makes it all much worse. But I feel the audience isn’t meant to think about it. So in this way Thanos’s presentation says more about us than any failings of the creators. But hey, maybe it’s just a paranoid conspiracy theory on my part. I hope it is. I’m with Jenn H. I don’t think the writers tried to portray Thanos as sympathetic. I think Thanos tried to portray himself as sympathetic. He went on about how he was “burdened with terrible purpose”. All the heroes knew he was full of it. They didn’t check into his claims because there wasn’t time and there would be no point to it. He still had to be stopped. He’s the CEO who lays off thousands of workers while keeping his bonus but feels like the victim because of the “sacrifices” he had to make. Thank you! I’ve been thinking this since I saw Infinity War! It also didn’t fit Thanos’s characterization from the first Avengers movie. He looked pleased by the prospect that Earth would be a challenge; that would make more sense if he was courting Death like in the comics. But with his actual motivation it wouldn’t make sense. Honestly, I had a ton of problems with Thanos, from how Sue-ish he is to his relationship with Gamora. But those would be articles in of themselves. Talk about “overpopulation” is a little weird in general. Presumably, there isn’t some magic number of people which we ought not to exceed just because. If there’s a problem, it is that people use up too many resources and/or destroy the environment in general. And that IS a problem today (Earth overshoot day etc). However, the culprits are primarily people in the rich part of the world. For example, in Niger, the average number of children per woman is around 7 (the highest in the world), and in the US, it’s only 1,8. We might therefore think the large families of Niger are a problem for “overpopulation”, whereas the small US families are not. But if you look at calculations of “ecological footprints”, the average American is 5,3 times as bad as the average person i Niger. So the average American family size is more, well, destructive if you like, than the average Niger family size. It’s obviously great for the people involved to raise standards of living, provide more education etc. But if we talk about “overpopulation” in the sense of putting to much strain on the planet’s resources, large families in Niger and other poor countries isn’t the problem. This argument is flawed or at least badly worded. I agree that the problem with overpopulation is tied to the ecological footprint of the members of the respective societies and that the members of the richer ones tend to consume more resources. The problem lies in that the large family in Nigeria that you describe would also like to consume more resources as this is usually viewed as “living a better life”. This is normal human behavior – everyone would like to have a better life. And in the world of today these people will attempt to and in some cases will succeed in acquiring and consuming these resources which due to their numbers will also create strain on the environment. What I’m so clumsily trying to say is that it is just as important to fight overpopulation in the currently poorer parts of the world as to fight high consumption in the richer parts. The strain on the environment is created by both these factors. Also we cannot forget that overpopulation in the “poorer” parts of the world adds to the poverty of these regions which leads to many serious problems for both the people and the environment. I’m not actually disagreeing with you. Poor people want better lives, yeah, you can’t just count on them remaining poor for the sake of the planet or something. So I guess it was badly worded; sometimes nuance gets lost when you write fairly short messages on the internet as opposed to, IDK, long think pieces. It just bugs me when people treat overpopulation as something purely about numbers, and conclude from there that the rich part of the world is fine since we already have small families; we could actually solve this problem by making poor countries more similar to ours. It’s pretty well documented that when people’s level of education and standard of living rise, family sizes go down. On this basis, it’s sometimes argued that if we could raise the standard of education and living everywhere, i.e., make all countries more like us, then the “overpopulation problem” would disappear, because then people everywhere would have small families. But that’s a flawed argument, since increased consumption per capita is probably gonna more then compensate for a smaller number of people. Thank God! Someone finally adressed this issue. One thing that is not mentioned in this article about Star Trek Insurrection: the Son’a and Ba’ku are the same race. A century prior to the events of the movie, the Son’a was the younger generation of Ba’ku who were following the ways of the offworlders (Think Amish boys wanting to follow the “English ways”). They attempted a coup but failed and were banished by the Ba’ku to die slowly. The Son’a leader Ru’afo became embittered and planned revenge. By making a “sweet” deal with the Federation, they would force the Ba’ku (their parents) out of their homes taking away their eternal youth. At the beginning of Act 3, a captured Picard revealed this to Admiral Dougherty who tried to stop Ru’afo’s planned parricide but was murdered. Just thought it should be mentioned. That’s all. Except Infinity War was good and Insurrection was awful. I feel like we’re overlooking the most obvious reason the audience doesn’t buy into Thanos’ plan: We’re never really presented with overpopulation as a universal problem within the narrative. The idea that the entire universe has more intelligent beings than resources isn’t really something the audience is ever shown direct evidence of. We’re just presented with Thanos repeatedly telling us this is a problem and saying his “kill half of ’em off!” solution has worked in the past. Even in the flashback’s to his purge of Gamora’s world we’re never really shown the effects of overpopulation on the world or are shown the improvements brought on by Thanos’ massacre: Thanos rounds people up, gives a speech on overpopulation, we’re then shown mass executions and Thanos claims in a later conversation this fixed everything. If we, as an audience, are supposed to sympathize with Thanos’ goals (If not his method) we need to have the problem he’s “fixing” actually set up and established in the narrative and not just told to us by Thanos himself. I watched Insurrection for the first time after reading this. Largely agree except that since the core dilemma of the Federation is more or less the question of fascism- does the promise of strengthening your hand against a credible outside threat justify warping your political and social systems beyond recognition, risking misery and atrocities- I would have liked to see more on the system of political and cultural support Dougherty was clearly implied to be leaning on while doing plausibly deniable wickedness far from the Council’s gaze. Even in the sweet celebration of victory, Picard must say goodbye to his Viagra-planet girlfriend because people back home are trying to undermine everything he fought for. His confidence implies that they are no threat to his life or health, but this skirts dangerously close to minimalizing the risk of flirting with fascism in real life. The old liberal fantasy about crushing a system of tyranny in two weeks and immediately going back to stock trading and brunch comes to mind. Dougherty is initially pretty confident in his confrontations with Picard, and I think to the extent that we are basically seeing a one-man Vichy here instead of a movement with tyrannical aspirations, a phone tree and a meeting spot, it actually hurts the sense of real moral and ethical struggle that is so valuable to this kind of Trek film. One could be forgiven for leaving this under the impression that a Dougherty figure in, say, NATO would quickly bumble his way into a court-martial, when it is closer to the truth that real world conflicts gobble up atrocities like these for breakfast, making heroic figures of the many Doughertys who fancy themselves Picards. I feel like Infinity War is doing what the ’80s Transformers movie did: Kill off a bunch of characters to throw in new ones because toys sell. It’s like the writers didn’t consider there are audience members attached to characters that were turned to dust before their eyes for a shallow reason. What a slap in the face. The Snap doesn’t hold a lot of weight because audiences full expect it will all get fixed, though I wonder if everybody other than Rocket becoming dust was a slap in the face at James Gunn for his distasteful tweets. Basically, cheap deaths are a good way to piss off an audience. I don’t think Thanos was supposed to be sympathetic, just comprehensible. He strikes me as the sort of villain that you know is wrong, but you can still see where they’re coming from. If you agree with Thanos’s premises, his actions are abhorrent, but the audience is meant to see the flaws with his premise and understand that he’s still wrong. This puts him in the gray zone between “sympathetic villain” and “pure malevolence” that nobody seems to have a good name for.